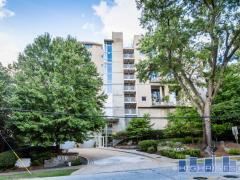 Giant Lofts are located Downtown on Marietta Street with easy access to all the sites including the Aquarium, CNN Center, and other in town neighborhoods. There are 48 units in this historic warehouse building all with open and edgy floor plans. There’s also retail on the ground floor and parking offered in the basement. Have any comments or questions about Giant Lofts? Ask your question and/or share your thoughts about this Building.